Wu-Tang Clan fans can't stream the group's new album, "Once Upon A Time In Shaolin." Instead, they will have to find the anonymous buyer who bought the only copy in existence for millions of dollars. The album was sold to an unnamed American buyer for "an undisclosed figure in the millions," according to a statement from online auction house Paddle8. 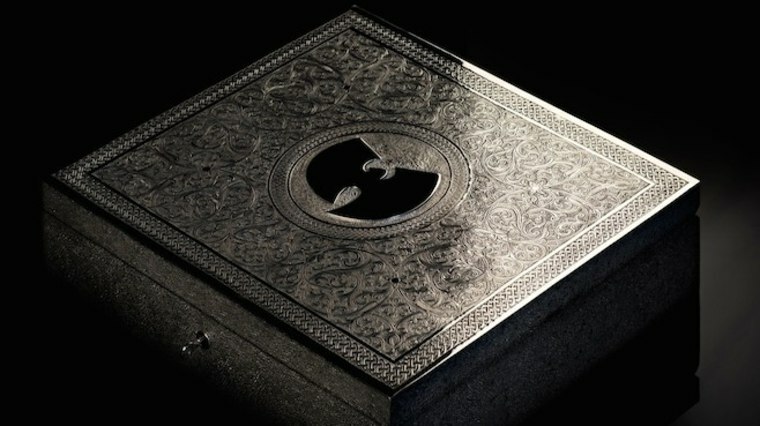 In an age where streaming has made millions of albums available for free, Wu-Tang decided to release only one copy of their new album, which is housed in a hand-carved box and accompanied by a 174-page leather-bound manuscript "printed on gilded Fedrigoni Marina parchment." "The Wu-Tang Clan have always been driven by innovation, and this marks another moment in musical history," Wu-Tang member Robert Fitzgerald Diggs (aka RZA, aka Bobby Digital) said in a statement. "From the beginning, we hoped that this concept would inspire debate and new ways of seeing creativity." The buyer can do anything he or she wants with the album, but can't "commercialize" it for 88 years. Paddle8 didn't reveal how much was paid for "Once Upon A Time In Shaolin." But the company did say it's the most ever spent on a single album, surpassing the $306,000 spent for the only existing album from The Quarrymen, the band that would later become The Beatles.